The application works with YouTube by default but we can use it on all sorts of websites. From the menu we’re offered several suggestions about where we can operate (Dailymotion, Vimeo, Facebook, and Metacafe, amongst many others) but there’s also an address bar where we can add, type or paste our own URL. That means we can use this app as a basic browser on our Android device. In the field of online video download managers, this is one of the most popular ones around due to how easy it is to use, as well as all the different functions that it comes along with, from selecting different resolutions to having a built-in multimedia player to play the files we download without having to resort to third-party apps of the likes of KMPlayer or VLC Media Player. Neither can we forget bout about the possibility to sync the app with a SmartTV, which allows us to play videos on these devices from our phone. Download videos in MP4 and 3GP formats and extract audio in MP3 and AAC formats. Built-in search engine on the interface. Video suggestions based on our activity on the app. Clear design of the interface that simplifies its use. Integrated multimedia player for downloaded video and audio files. Functions to pause and resume downloads. Support for simultaneous downloads: download several videos or songs at once. Function to sync the app with a TV. 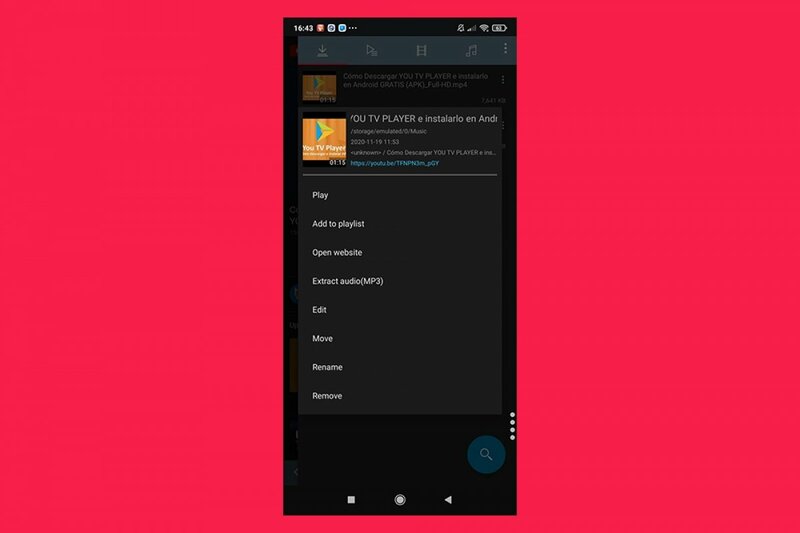 Furthermore, this APK includes an identical clone of the official YouTube app which allows us to log in just like on the original application, and also browse through our favorite channels, share videos on social networks, take a look at the video queue… with the additional option to be able to download videos and music in just a few seconds whenever we ant. TubeMate also allows us to manage and organize the downloads carried out through the application, as well as to create playlists, open downloaded files, play audio only without needing to download the video… Another interesting option is that allows us to have full control over our downloads by means of a simple and straightforward system. Thus, we can establish the number of simultaneous downloads, pause them all at once, download subtitles, convert file formats, etc.